Albanian authorities have granted a request made by their counterparts in Skopje to send footage of former PM Nikola Gruevski when he left the Albanian territory. 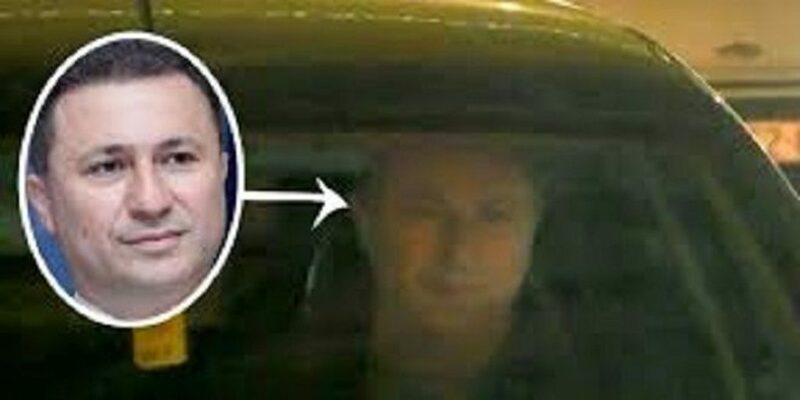 This footage shows how Gruevski entered Albania with a vehicle and how he appeared in the Albanian border crossing point with Montenegro to then continue his journey toward Serbia and Hungary, where he applied for political asylum and where his request was granted by the government in Budapest. Macedonian authorities are expected to receive from Albanian authorities images filmed by CCTVs. The footage in question shows moments from the escape of the former PM of North Macedonia, Nikola Gruevski. Public Prosecutor in Skopje, Lubomir Jovevski said that authorities in this country are waiting to receive the footage of the border crossing point between North Macedonia and Albania. So far, around 20 witnesses have testified about Gruevski’s escape, while another four are yet to testify.